Once in a while I have visitors. Mostly I am excited to share the studio for a short visit- It is so nice to let visitors in, let them view my art, ask questions, and touch my paints. 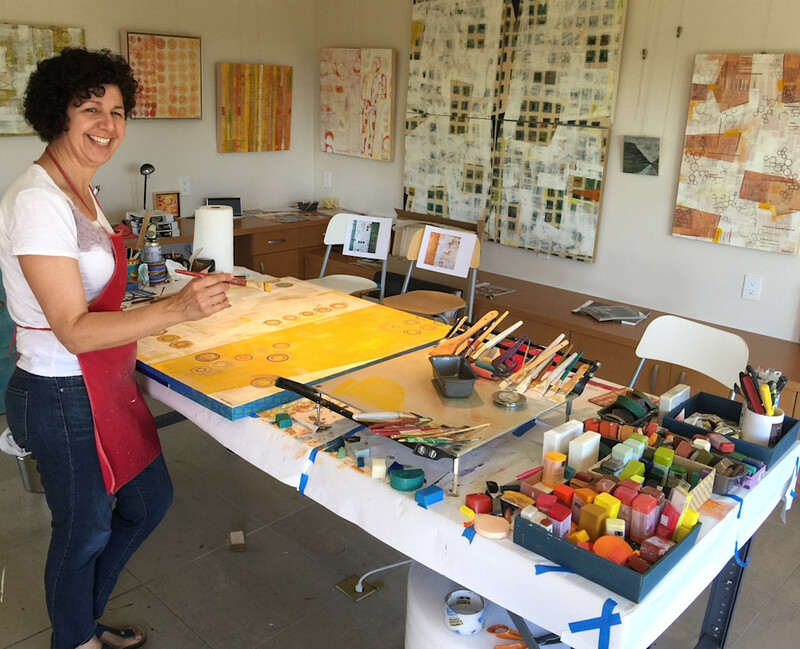 I am happy to demonstrate how encaustic- my medium- works and to answer questions about my art process. Today I had a great visit. This person saw my art in a gallery in Los Gatos (Whitney Modern gallery) when I was there. We started to chat and he asked if he can come to see the studio. He was mostly interested in the encaustic process and wanted to see it in person. It was a short and sweet visit. It did not interrupt my work for too long and it was positive and inspiring for both of us. Here is a photo he took before he left. Most of my studio photos don't include so I treasure the photo.